Agriculture plays a crucial role in the Indian economy. Almost 60 percent of the Indian workforce is involved in agriculture, but that has not resulted in substantial growth of the sector. In fact, its contribution to the GDP has dwindled to less than 25 percent. It is time that students explore this highly important area. Most students are well aware of the streams like engineering and medicine, and post-graduate degrees like the MBA. But they may not have given any thought to B. Sc. in Agriculture program. The demand for trained professionals in the field of agriculture is high. Scholarships are also available. A student who has completed a B. Sc in Agriculture will get a lucrative job right after graduation. 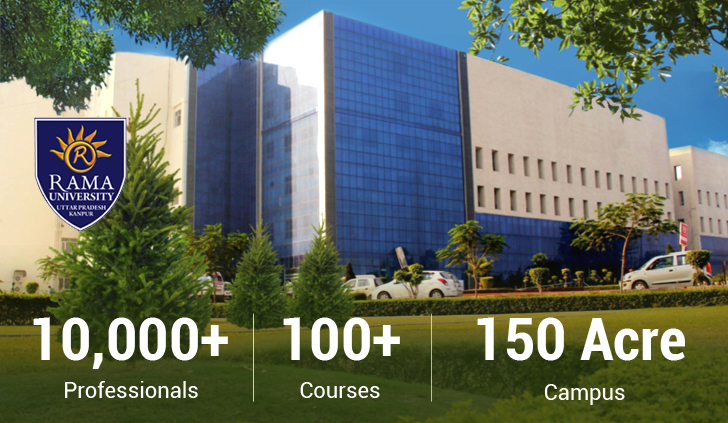 At Rama University, focus is mainly on the science of Agriculture by which we can enhance the quality of agricultural produce and develop new varieties of crops which will help in increasing production and quality of the food grain in India, thus helping in bringing economic prosperity to the Indian farmers. Agriculture is very diverse and the curriculum allows you to choose areas of interest to you. Engineering enthusiasts can study Agricultural Engineering. If numbers and calculations excite you, you can take up Mathematical Statistics. Marketing has its own space within the field of agriculture, and so do chemistry and biology. You can also opt for Agri-Botany, Agri-Biotechnology, Agri-Chemistry, Agri-Economics, Agri-Extension, Agronomy, Agri-Engineering and Social forestry (view table for various disciplines).